An Austrian tradition transplanted to New England over 200 years ago. 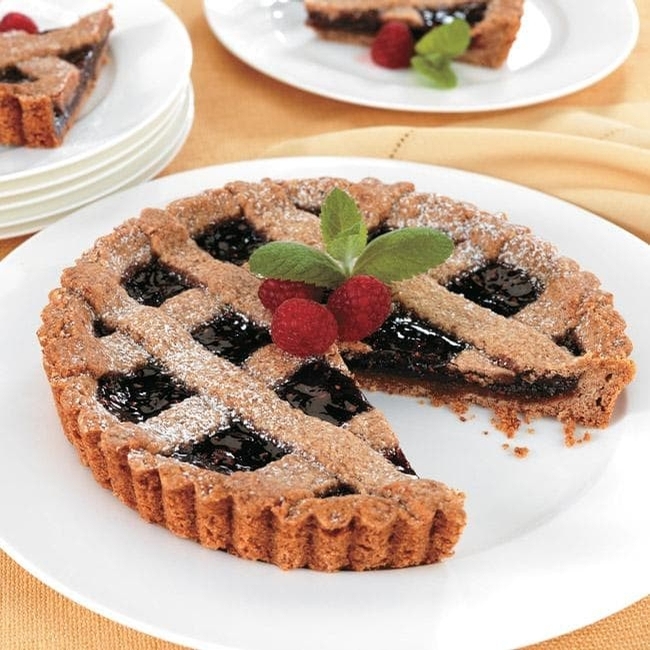 The butter rich pastry, seasoned with almonds, cinnamon and cloves, is generously filled with an exceptional raspberry filling, then baked until golden brown. A sprinkling of powdered sugar completes this elegant dessert. Each 8 inch tart serves 8 to 12.